Many people are looking for a way to shed their glasses. In reality, they are looking for a treatment to correct far-sightedness, near-sightedness or astigmatism. LASIK eye surgery (laser-assisted in situ keratomileusis) is just that. You may have heard of LASIK Eye Surgery but not be familiar with the conditions that it targets. In this procedure, a laser is used to reshape your cornea to treat for nearsightedness, farsightedness and astigmatism allowing your retina to receive a clear image to minimize or eliminate the need for corrective lenses. With more than 90 percent of the patients treated achieving between 20/20 and 20/40 vision without glasses or contacts, most people find this outcome well within their expectations and goals. However, if you have special requirements for detailed 20/20 vision, you may want to discuss this with your Ophthalmologist at the LASIK surgery consultation. 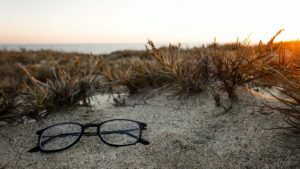 On some occasions, you may need to wear glasses for special activities as this surgery does not fully correct for presbyopia which occurs as we age (after 40) leading to loss of close-up reading. Contact our surgery coordinator to schedule your appointment with our doctors at 1960 Eye Surgeons. Patients need to be aware that it may take 3 to 6 months after the treatment for their vision to reach it’s maximum improved visual acuity. At times some patients require a second surgery to slightly enhance their vision however this is not a frequent occurrence. How Do I Know if I Am a Candidate for LASIK Surgery? Ideal candidates for laser vision correction are between 21 and 51 years of age and have otherwise healthy eyes, stable non-changing lens prescription.